Your aquarium is not just an equipment that showcases your collection of colorful fish. It is also a science project for you. You have to know the science behind keeping it healthy for your fish. Doing a water test is the best way to determine if your aquarium water is pure. It is also a great tool for identifying the aquarium pH levels. Long time fish tank owners know about the pH levels but many of the new ones don’t. For every new hobbyist out there, let’s first take a closer look at pH levels and water tests. What is an Aquarium pH Level? Scientifically, pH is the power of Hydrogen. It is a scale numbered between ‘1’ to ‘14’. ‘7’ is neutral while a reading below it means higher acidic levels. A reading above 7 means higher alkaline levels. A water test can find out the pH of water easily. Freshwater Tanks should have pH from 6.5 to 7.5. Saltwater Tanks should have pH more than 8. How to do a Water Test? A water test can be carried out using pH test kits available in the market. You can buy both the digital or chemical kits. In addition, you also have the option to buy a low range or high range testing kit. A low range kit cannot read above a pH level of 7.6. So, if your aquarium pH level is higher than that then you will need a high range kit. Once you have tested the pH level in your fish tank, you should adjust it as needed. Either you will need to raise it or lower it as per the needs of your fish. Let’s have a look at some of the ways with which you can adjust the aquarium pH level. You can add baking soda into the tank to increase its pH level. Add it gradually. Use 1 teaspoon per gallon to get great results. Driftwood should be soaked in water for at least 2 weeks before you add it to your aquarium. It reduces contaminants in the water and raises its pH level. Almond leaves have a great color. They can improve the aesthetics of the tank. They naturally reduce the pH level of the water. An RO/DI filter can purify the aquarium water up to 90%. The pH level of the water remains stable if it is purified well. It is your best solution to maintain the aquarium pH. Your fish are living creatures that need a full ecosystem. While in the sea they had that system naturally available. By adjusting the aquarium pH level you can give them the same environment at home. FishTanksAndMore.Com has more informative ideas like these to keep your fish healthy! 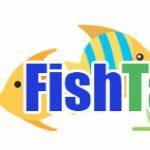 Visit us to be a part of the community of fish lovers. Share your questions with us in the comments below!